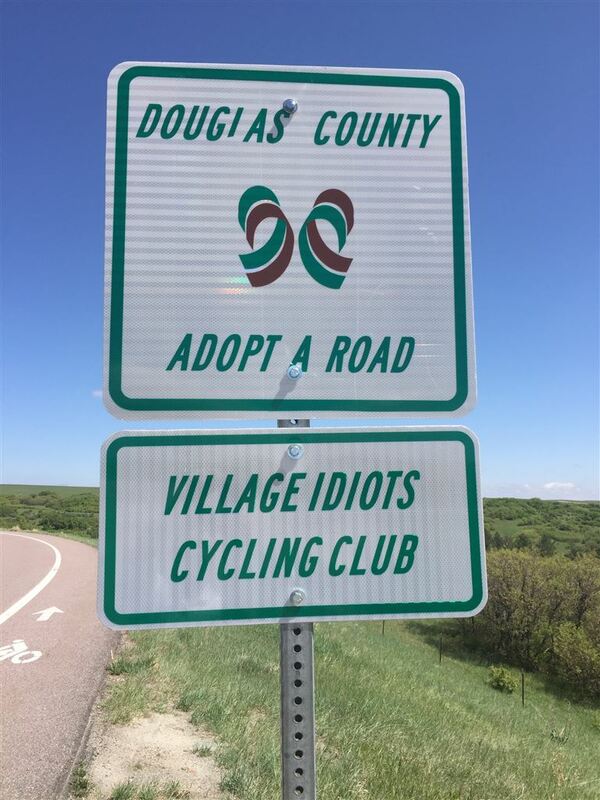 The Village Idiots Cycling Club was founded in 2007 by people who love to ride, socialize, and give back to the community. Over the years we have ridden thousands of miles, shared countless experiences and stories, and raised nearly $200,000 for charities. We are open to community-focused people who are aged 14 or older, of all cycling abilities, and hailing from near and far. Check out our FAQ Page for more information! Donated over $4,500 to the Douglas Elbert Task Force Help and Hope Center, a non-profit organization that provides support for local residents facing financial difficulties. We also coordinated two dedicated volunteer days on-site at the Help and Hope center. Are the proud “owners” of a stretch of South Havana Street near Castle Rock, and conducted clean-up days in the spring and fall as part of the Douglas County Adopt-A-Road program. Sponsored a used bike drive for Project Recycle, a local non-profit that repairs and repurposes used bicycles, turning them into “good as new” bikes for needy children, collecting over 80 used bicycles. Provided volunteer support for the Castle Rock Turkey Rock Trot, a 5k run/walk event on Thanksgiving Day. While it’s not a bike ride, the proceeds benefit the Help and Hope Center. 10-20 enthusiastic volunteers typically participate in each event. We plan to continue with all of these community support activities in 2018, and we may add some new ones as well. The Spring Adopt-A-Road clean-up day was a success with over 10 volunteers and a substantial amount of trash collected. The 2018 Bike Drive held in late April at he Coldwell Banker offices on Happy Canyon, was also a success. Project Recycle’s truck even had to make a return trip for a second load of bikes..
Every year, a merry group of Idiots, gather to participate in the annual VIC² Signature Ride event. The "ride" is typically followed by a grand meal and beverages. Often, ride teams compete in "games" with a winner declared at the gathering of teams before attendees reconvene to share crazy stories. The games often involve capturing photos related to the challenge. We hope to see you out there this year! VIC² members go over and above to give back to our community. 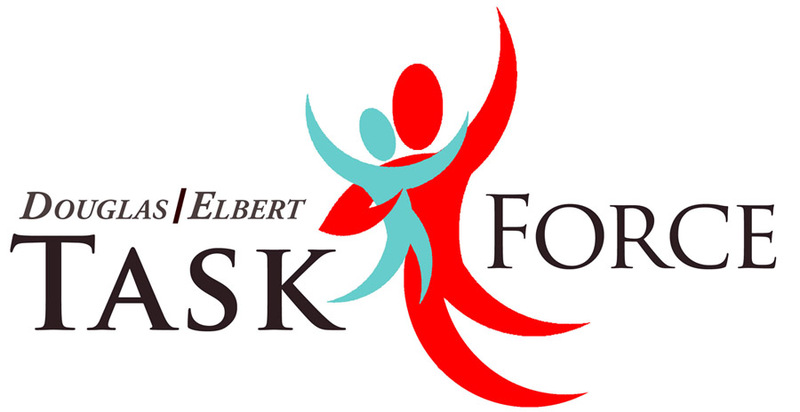 As a proud supporter of the Douglas/Elbert Task Force (website) which supports those in financial need. In the past we have taken on projects at the DETF including landscaping and painting. We also volunteer in the food bank twice a year in support of 9Cares Colorado Shares. The community at large donates food and basic needs goods at designated drop off points. The food is then brought to the DETF facility for sorting. VIC² has also provided a marshaling team for the Turkey Rock Trot, which is the largest fundraiser for DETF. VIC² owns the road! Well, technically we own the responsibility for one of the many great stretches we have available to us for riding. We are fortunate to have such great riding routes in our area, and want to do our part to keep them beautiful! Our adopted "baby" is the one mile stretch of South Havana between Castle Pines Parkway north to Oak Hill Lane (the I-25 underpass road) across from the Surrey Ridge dog park. We hold a couple of clean up days per year, so come on out and pitch in...members and non-members are welcome to come out and clean up! Every year VIC² organizes a long weekend getaway event, alternating between out-of-state, and within our beautiful state of Colorado. The past several years have included Napa, Aspen, Santa Barbara, Steamboat Springs, and this year, an early season trip to Moab to enjoy the spectacular desert landscapes. The weekend includes a combination of dinners, sightseeing, and organized rides. Riding memories from the past trips include riding the Ink Grade in Napa, The Fig in Solvang, Independence Pass, Rabbit Ears Pass, The Big Nasty in Moab, and many others with mind-altering scenery. Our visits to the Silver Oak Winery, Salvatore Espresso Machines, Woody Creek Tavern, Moots Bicycle Factory, Strawberry Park Hot Springs, and Arches National Park have been among great sightseeing events. You need to be a member to join us, so sign up for the 2019 season and we hope to see you our next adventure.